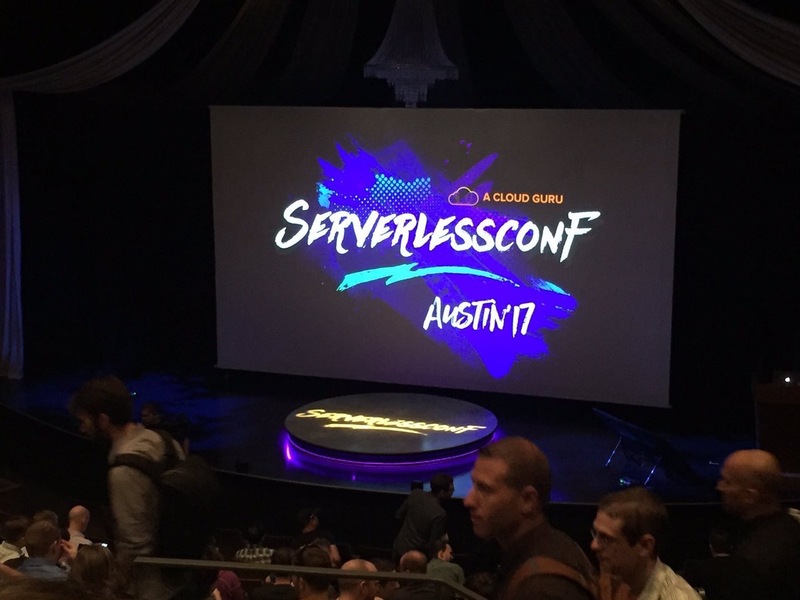 This past week was ServerlessConf in Austin. The event has now done a world tour over the last year, starting in New York in 2016 and coming back to the states in 2017. The Community – Who is attending, what are they working on, and what level of progress have made? The Market – Is this as an area where people are using it for real business challenges, and is there a market to make money from this technology? Market Investment – Is this a market where a lot of VC money has already been placed, or is funding coming from somewhere else? The events are hosted by A Cloud Guru, which not only does training for cloud services such as serverless, but they have built their entire business on serverless technologies. They have done a great job building the community and attracting end-users that are building interesting things with serverless. The show attracted about 250 people for the Day 1 hands-on training sessions, and almost 450 people for the Day 2/3 talks and networking. The audience still seems to be people that are doing early-stage projects with serverless, and it hasn’t (yet) been overtaken by the vendors. Nearly everyone in attendance was working on some serverless project for their business, from large (beta) rollouts to entire businesses being delivered via serverless architectures. Serverless is still in the early days, as we don’t have any companies publicly announcing their revenues at this point. AWS is currently the leader, as their AWS Lambda services have been out in the market the longest and attracted the early-adopter following. But Microsoft Azure Functions had a very strong presence, showcasing now only Azure Functions but also a broad range of event-connectors through their Azure Logic Apps. Google has a split portfolio between Firebase, which has been a Backend-as-a-Service for a while and the beta Google Functions. Applications frameworks like Serverless Framework and Go Sparta are also starting to emerge. There were several businesses talking about their real-world use cases, including consumer companies like iRobot and large Enterprise companies like Accenture. Most of the event was focused on cloud services for serverless, but the market does have a few open options that are beginning to emerge. IBM has donated OpenWhisk to the Apache Foundation. Kubernetes has a few projects (Funktion, Fission, Kubeless) that are maturing for on-premises or cloud deployments. Also, a new project from stdlib was announced, called FaaSLang. Since one of the key value points of Serverless/FaaS is only paying for usage, it will be interesting to watch if any on-premises or open-source offerings catch hold in the market. The amount of VC funding that was present, via startup funding, wasn’t very large at ServerlessConf this week. There were smaller companies such as IOpipe, stdlib, Fauna, A Cloud Guru and Serverless Framework, but none of them had raised a large amount of money yet. The market is still trying to figure out how quickly developers will be attracted to this new mode of developing applications, and if there will be any white space left after the public cloud providers begin to roll out more serverless tools and services. Serverless cybersecurity is being done by Google, cloud databases and SAP HANA.